Angela Hibbard Park (Photo: Daniel Nee) Click to enlarge. A long-awaited dog park, walking paths, tennis and pickleball courts, plus electrical wiring for outdoor movies are just a few of the improvements that are planned for three Brick Township parks this year. 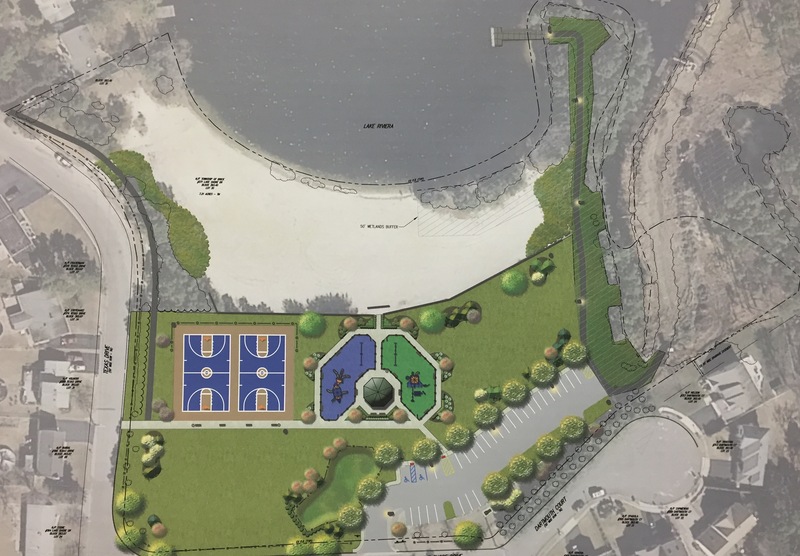 The designs for Colorado Park, Angela Hibbard Park and Lake Riviera Park were unveiled Tuesday night at a township council meeting, the first glimpse into the trio of projects that will be completed this year, starting with Colorado. “They’re all going to be started and finished in 2015,” said Mayor John Ducey. Construction on Colorado Park is expected to begin on or about June 12, Ducey said. Angela Hibbard will be the next park to be rebuilt, followed by Lake Riviera. The township is still waiting on some environmental permits from the state that are required before work on Lake Riviera Park can begin, the mayor said. Each park will feature upgraded landscaping, lighting and parking, as well as numerous new attractions. Colorado Park. (Photo: Daniel Nee) Click to enlarge. At Colorado Park, there will be a new parking area, separate playgrounds for children ages 2-5 and 6-12 years old, two basketball courts and a baseball field with a clay infield. There will also be walking paths and a tree buffers; the walking paths will connect to the trail head for the Sawmill bike path, said Councilwoman Andrea Zapcic. The park will also feature electrical connections for movies in the park. 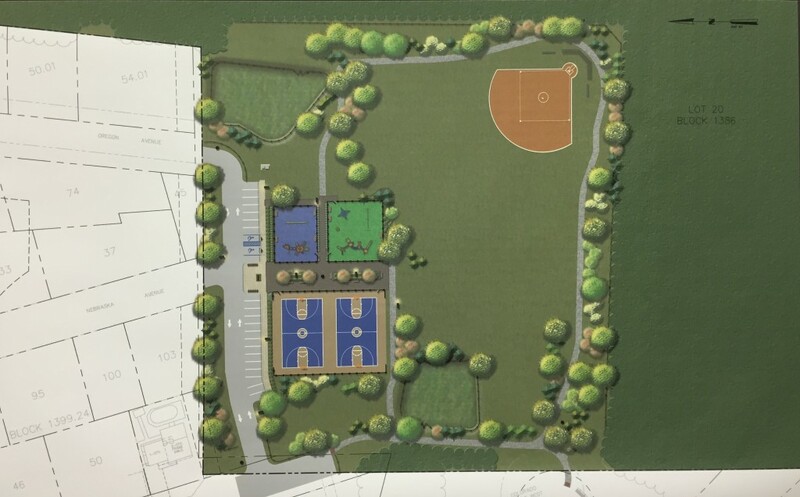 The rebuild of Angela Hibbard Park (see the rendering at the top of the story) will include two dog parks – one for small dogs and one for large dogs – as well as picnic benches and a combination tennis court and pickleball court. A basketball court will also be included, as well as a new parking lot. The park will feature playgrounds for children 2-5 and 6-12 years old. Lake Riviera Park. (Photo: Daniel Nee) Click to enlarge. Lake Riviera Park will include two playgrounds as well, along with a new walking trail and fishing pier. A rock wall will separate the beach area from a grassy play area, Zapcic said. A new gazebo will be built in the middle of the park. The new parking area that will be built will solve an issue at the park that has lingered for years, officials said. “There are some issues in the parking lot right now with exuberant teenagers doing donuts, so we’re going to be redoing it to prevent that,” Zapcic said. The park rebuilds were all approved in the 2014 capital budget. This year, the township council included new designs for Bayside Park, Hank Waltonowski Park and Bernie Cooke Park.